Allergy Friendly Mini Coconut Pie – Allergy Foodie: Thrive with top 8 food allergies! 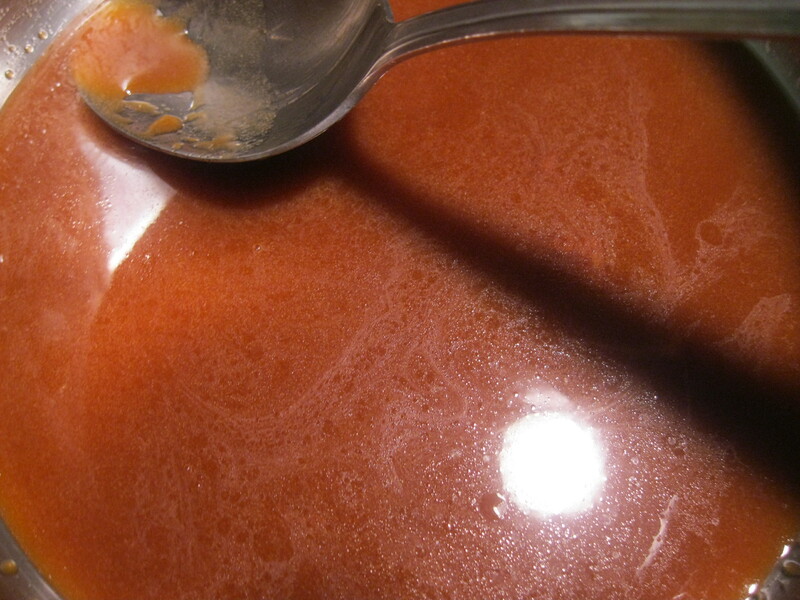 In a heavy bottomed vessel add a pinch of salt and 2 tbsp shortening to 1 and ¼ cup water and bring it to a boil. Simultaneously, boil ¼ cup water and keep it aside. Lower the flame completely and add the rice flour slowly while stirring the mixture constantly. If the dough seems too dry add the extra boiled water that had been kept aside. Turn off the heat and cover it with a damp kitchen paper towel. Place a heavy bottomed vessel on low to medium flame. 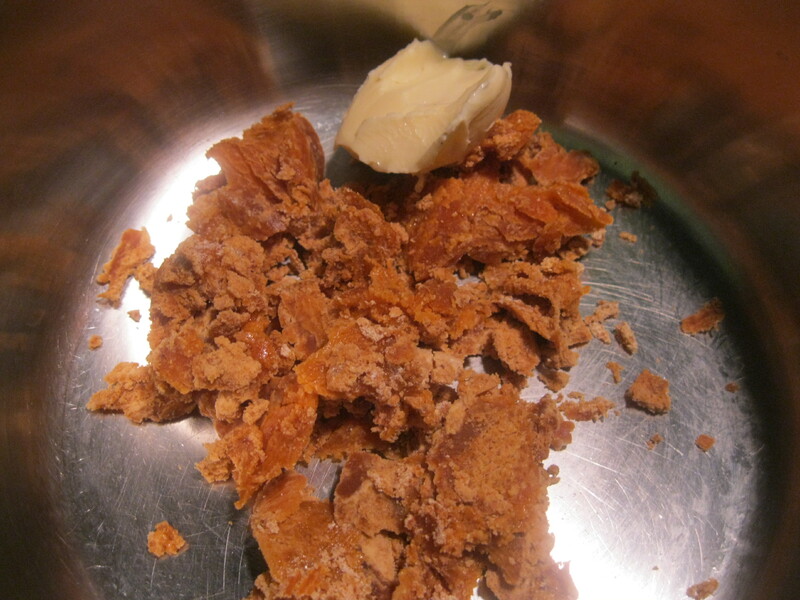 Add the jaggery/ dark brown sugar, 1 tbsp Earth Balance shortening and 1/8th cup water. 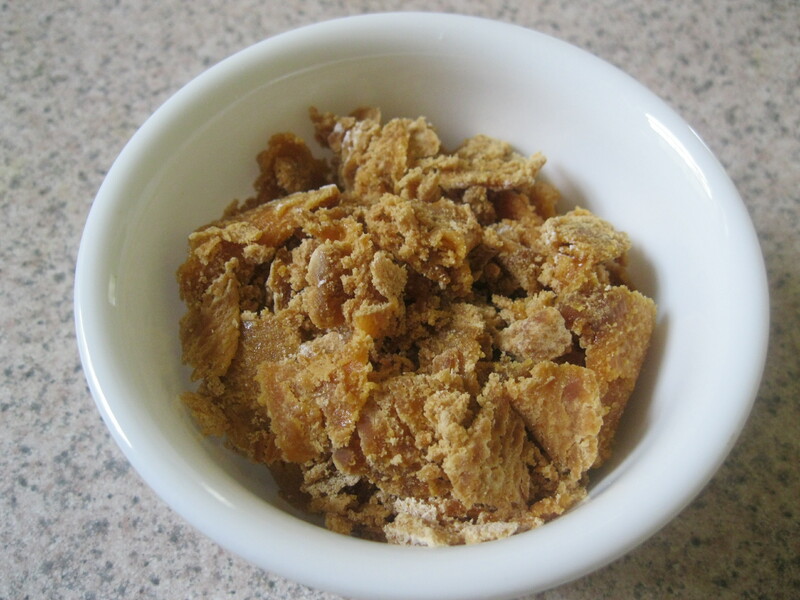 Stir the mixture constantly till there are no lumps and the syrup just starts thickening. This should take about 5 to 7 minutes. 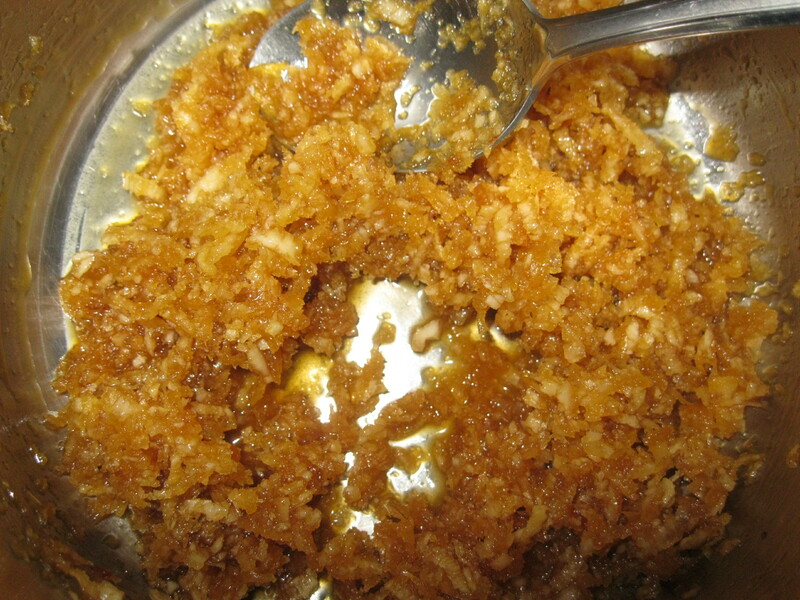 Add thawed fresh grated coconut and continue stirring till the extra moisture evaporates but the mixture is still moist. Mix in the cinnamon/ cardamom powder and remove from the heat. Wait for it to cool down. 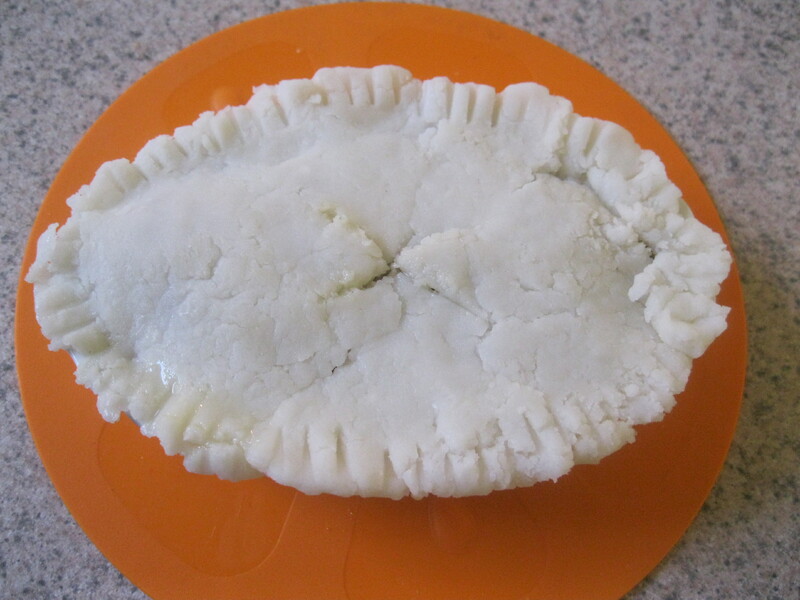 Now the pie dough and filling are ready for assembly. Melt 1 tbsp of the shortening and keep it handy. Grease the inside of 6 ramikens with it. On a pastry board spread out 1 square foot of plastic wrap. Grease the tip and palm of your fingers with a little bit of the melted butter.Take a ball of dough slightly bigger than a golf ball. Roll it into a smooth ball ensuring there are no lumps and press it down in the center of the plastic wrap. With the tips of greased fingertips gently spread the dough to a size large enough to fit the bottom of the ramiken. Rice flour dough will be a little brittle and form cracks as your spread it. Do not let that worry you. Just seal it with your fingers. In fact, the few cracks and rough edges add to the homemade country appeal. Gently turn over the flattened dough onto the palm of your hand and press it down into the ramiken. Smooth out any rough edges or splits with your fingertips. Add 1/6th of the prepared filling into the flattened dough lined ramiken. 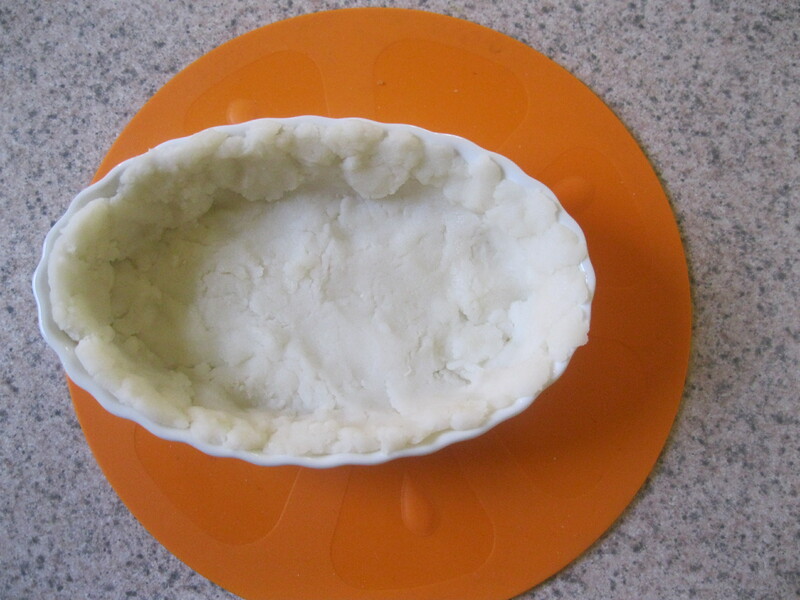 Now flatten out another ball of dough to fit the top of the mini-pie and lay it gently on top of the filling. Pinch the edges just like a regular pie. Use the edge of a greased fork to give the crimped look. Prepare the remaining mini-pies in a similar way. If you own a steamer, place the ramikens on a plate that will fit inside the steamer and steam the pie for 12 to 14 minutes. 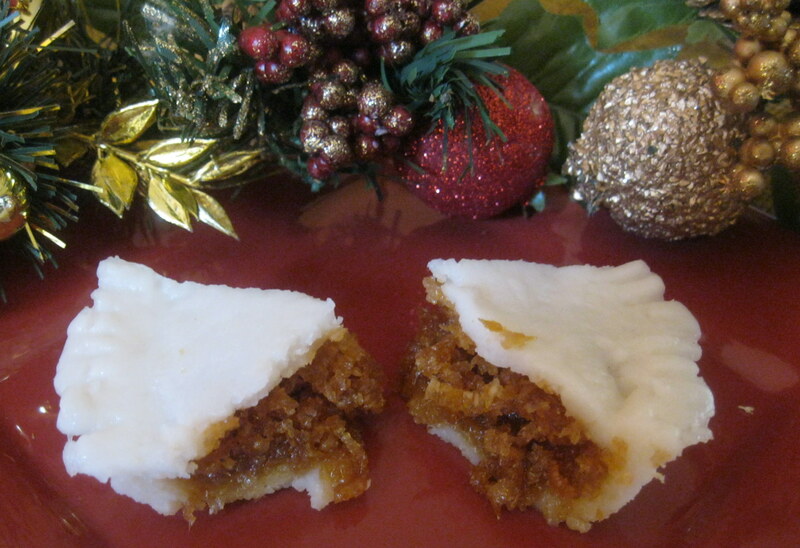 You may need to steam the mini pies in 2 batches. If you do not own a steamer: Take a big and deep vessel and add 2 inches of water to it. Place a vessel inside it and a plate on top of it. Now place the ramikens on the plate. Cover the vessel with a lid leaving a little gap for the steam to escape or cover it with a muslin cloth. Steam it on medium high flame for 12 to 14 minutes. 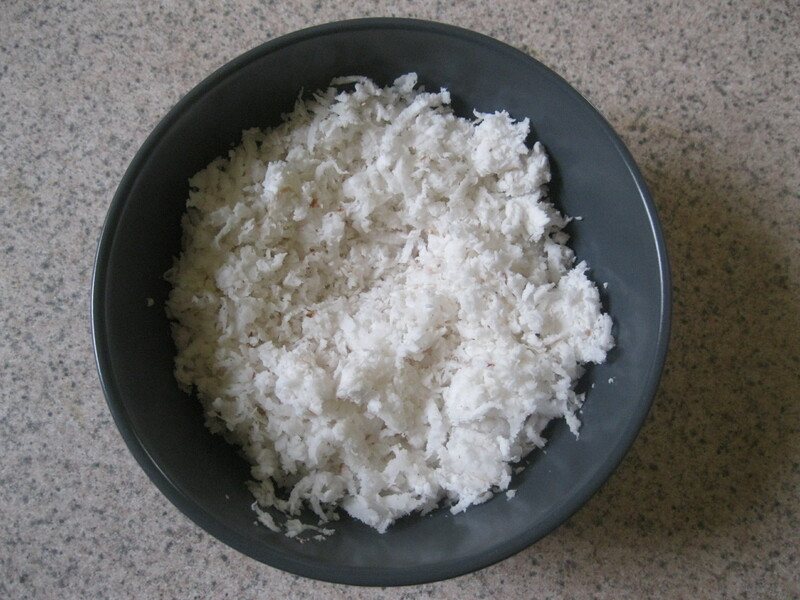 I love coconut! I have only heard of steamed plum pudding (British heritage). I love how you describe the fixing of the crust as giving the crust a ‘homemade country appeal’! I make a canola oil crust, and it too can be finicky. I love the ‘homemade country appeal!’ So authentic! Did you submit this recipe to the Earth Balance bake-off? Pingback: Allergy Friendly Mini Savory Bean Pie | Allergy Foodie – thrive with top 8 food allergies! Thanks Anu! I will definately check it out! You are inspiring me! Just spent a day baking Dairy, Egg and Peanut/Tree Nut Free Gingerbread Houses and Men. Tomorrow the boys and I are going to decorate them…can’t wait. We used Earth Balance!